In the Pierre area, the Pierre Amateur Radio Club will be demonstrating Amateur Radio at Capitol Heights Baptist Church on Hwy. 14 north of Pierre, June 24-25. They invite the public to come and see ham radio’s new capabilities and learn how to get their own FCC radio license before the next disaster strikes. Testing will be available Saturday at 4:00 PM, please contact us ahead of time if you are interested in taking an exam. There are 750,000 Amateur Radio licensees in the US, and more than 2.5 million around the world. 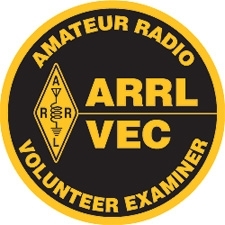 Through the ARRL’s ARES program, ham volunteers provide emergency communications for thousands of state and local emergency response agencies, all for free. Radio can do. They can even help you get on the air!